Celebrate your faith with our premium quality religious flags. 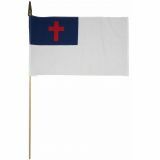 Add a spiritual touch to your home or church with these religious flags that are available in various sizes and models that range from small table top models, large outdoor flags, and everything in between. 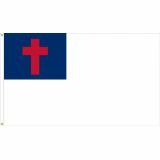 Be it as a daily use flag or for special occasions and celebrations, our 100% made in the USA Christian Flags will make a perfect choice. Shop right away and get the advantage of the best prices, quick shipping and much more! 100% customer satisfaction guaranteed! 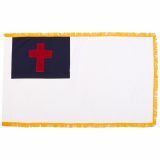 The Christian flags available on Tuff Flags incorporate all facets of Christianity. 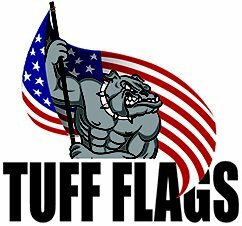 Choose from a range of models like outdoor nylon flags, parade flags, mounted rayon Christian flags and more. 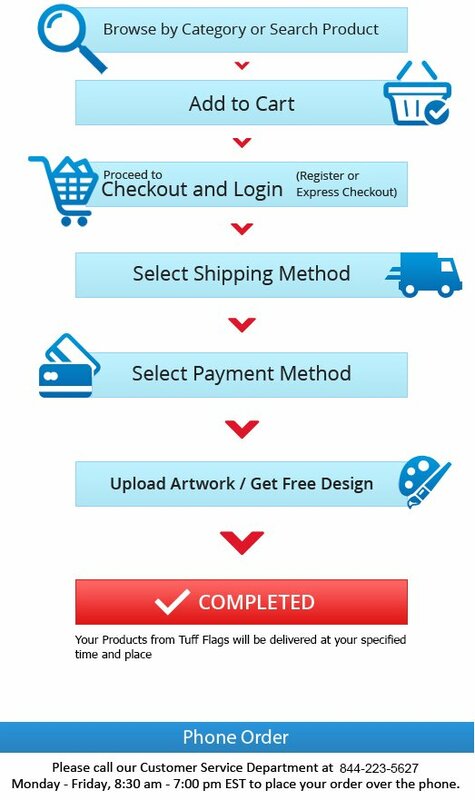 Our flags are made to exact specifications as a result, you get the highest quality for the lowest price. 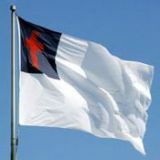 These flags look great both outdoors and indoors and are perfect for churches and organizations that fly flags on a daily basis.The Christian Flag is a white flag with a blue canton and a red cross in it. Designed by Charles Overton in 1897, this flag represents Protestants of all denominations.